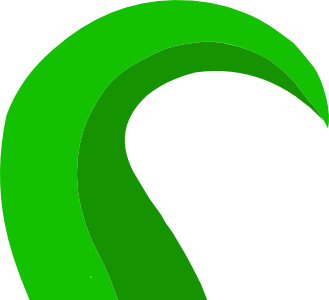 I was just wondering on what issues I should expect to see by running Octorprint on a Raspberry Pi Model A (2014 model). I have been running it now for well over a year and don't seem to notice any issues, but have just spotted on the Octoprtint site that a Pi 3 is recommended. As Octroprint has been updated quite a few times since back then, should i expect to encounter any issues? Just seems a bit pointless upgrading if I don't need to. I'm running OctoPrint on a Raspberry Pi B+ which has the same SoC as the model A, but 512MB memory instead of 256MB (never noticed that OctoPrint was using so much). I never encountered any issue and the first generation Pi's are fast enough to run smoothly. Of course I'm not doing any heavy operations like slicing or creating a timelapse video. The metadata analysis is done by my desktop computer too, because the Raspberry is not made for such tasks. Even the Raspberry Pi 3 B+ is not even remotely comparable to a desktop PC or laptop. Below an interesting article. I tried timelapse and it was a bit rubbish to be honest, and all my slicing is done on my PC so all good there. 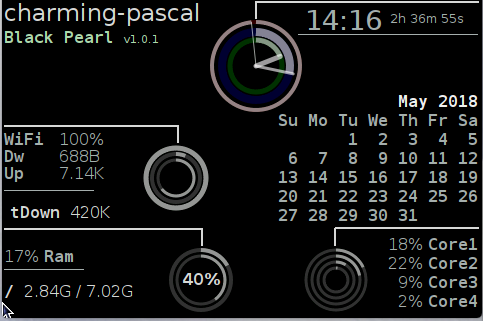 Here's a screenshot of my printer's Conky interface, noting the current CPU and RAM usage for the Raspberry Pi 3 B that's inside. 1.2 GHZ quad-core ARM Cortex A53 and 1GB of LPDDR2-900 SDRAM. Upon starting up the web interface remotely, one of the cores usually goes to 100% trying to fetch everything for that client so that's something to consider. When capturing/streaming the webcam content, another of the cores goes up in processing for that. If you think about the division of activities which need to go on simultaneously, the four cores are well worth the effort. The 40% you see there is that the root partition is using 40% of the 8GB microSD card, noting that some of that is for the /boot partition itself and not seen in that calculation. The 17% is the amount of RAM from that 1GB that OctoPrint consumes. During timelapse that usually goes up to around 30%. The recommendation for the RPi3 there is in place to help people that don't know which one to get, since it will currently offer the best experience. The explicit "not recommendation" for the RPi0w is in place to make clear that this one is definitely not a good idea in most cases. But if you still have a 1 or 2 lying around and it works for you, great! The explicit "not recommendation" for the RPi0w is in place to make clear that this one is definitely not a good idea in most cases. The Raspberry Pi Zero uses the same SoC as the RPi1 but with a higher (default) clock frequency (1 GHz instead of 700 MHz). Therefore you can definitly run OctoPrint on the Zero! I'm specifically talking about the 0W here, whose WiFi chipset is attached via SDIO and causes up to 50% CPU load in the kernel driver when you actually push any data through it (read: upload/download a large file or consume the webcam stream). A problem btw which the 3 also has, but thanks to its four (faster) cores it's negligible. I don't have a Pi Zero with Wifi and didn't know about this issue, thanks for the info. But you can still disable the onboard Wifi and use an external module. This question might be a bit of topic, but did they fix the voltage drop issue with the RPi3+ or does this model still requires a power source with 5.1V/5.2V? But you can still disable the onboard Wifi and use an external module. Which kinda beats the purpose of getting the 0W in the first place though. And both the 0 and 0W have the downside of the necessary dongle madness in most setups, and they are a bit slow (just like the 1). IMHO not worth the hassle. The reason why I'm defending my point of view is that I won't want people to think that they require a new Raspberry just to run OctoPrint if they already have one. Even the Pi 1 has enough resources to run OctoPrint inkl. WebCam and some Plugins which are doing background calculations (e.g. the FilamentManager). I never run into issues. See, and I have to be careful here, because if I say "sure, just run it on what you have if that works for you", people love ignoring the "if it works for you" and read that as "but foosel said that it will run just as fast on a Pi1 as it does on a Pi3" and open tickets about slowness issues on the older models. It doesn't hurt me to go on the record to say that the $35 cost of the Raspi 3 is less than the lost hours of printing that you would accumulate over the lifetime of your printer if and when it crashes. I have printed single parts in carbon fiber—infused filament which consume most of a $50 roll of the stuff for a single part and it's super maddening when it dies 14 hours into it. Do you really want to chance it with a single-core Raspi? Yes? Then roll the dice and take your chances, peeps. 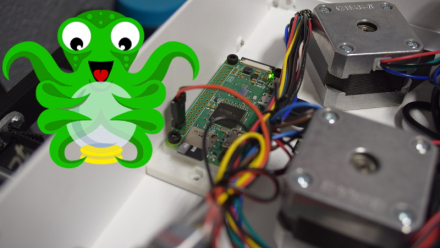 I successfully ran OctoPi on a Zero W, using Prusa's image, with a Pi Camera Module. Worked ok, even when printing, streaming video, and doing timelapse, all at once. No issues. Note this is with a Pi Camera Module, which uses its own interface to the Pi, not a USB webcam. From all I've heard the Zero W can't handle a USB webcam. However, I did just change to a Pi 3. Why? Mostly because it was very slow on non-printing tasks. Bootup took close to 5 min from power-on to web interface responding. I wanted to add a mesh-leveling plugin that needed to be compiled. That took over 30 minutes of just compile time (and I had to do more work to get it to work at all, since using stock commands led to various timeouts). Things like that. Now I have a Pi 3. The downside is two more cords to manage. The upside is that it's way faster, and I plan to add a second, USB camera, to have a second POV on the print. I also plan to use the GPIO pins with the Enclosure plugin, and breaking those out with the Zero W inside the einsy case would be more of a pita. I know I am late to the party, but maybe you can me out. If I run a print via Octoprint I get lots of stutters and blobs/zits. If I run the same g.code through an SD card, my prints come out much smoother. I'm using the same settings, including acceleration and jerk. Can you point me towards some answers? What type of RasPi do you use? How is the print in save mode? Hi Ewald. 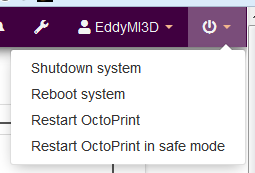 I have a few plugins installed: Astroprint, Firmware Updater, Octolapse (which I don't use), Octoprint Anywhere and PrintTime Genius. I'm using a Raspberry Pi 2. Do you mean "Safe Mode"? I have not tried that. I'll give it a shot. I also have an Asus Chromebox laying around and may try to load Octoprint on that. Ooops - typo. Yes, I meant Safe Mode. It's the last Item in the System menu. It disables all plugins that are not needed for printing.